A bike is simple or complex? It depends on how we look at it. 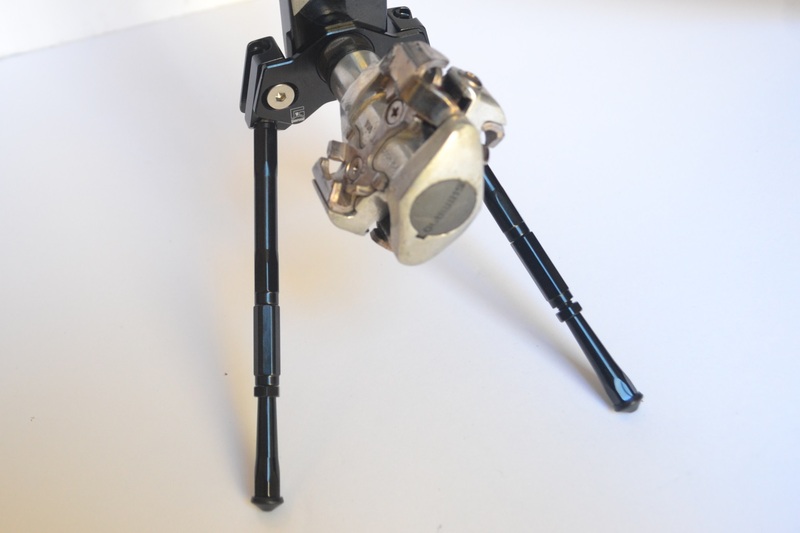 Who among you has ever opened a Rohloff gear or some Campagnolo Delta brakes, was amazed by the amount of mechanisms. On the contrary, if we look at a bike just for what it is, then it’s really simple: a frame, two wheels, a seat and handlebar, a gear to go around and some brakes (but not always…) to stop. 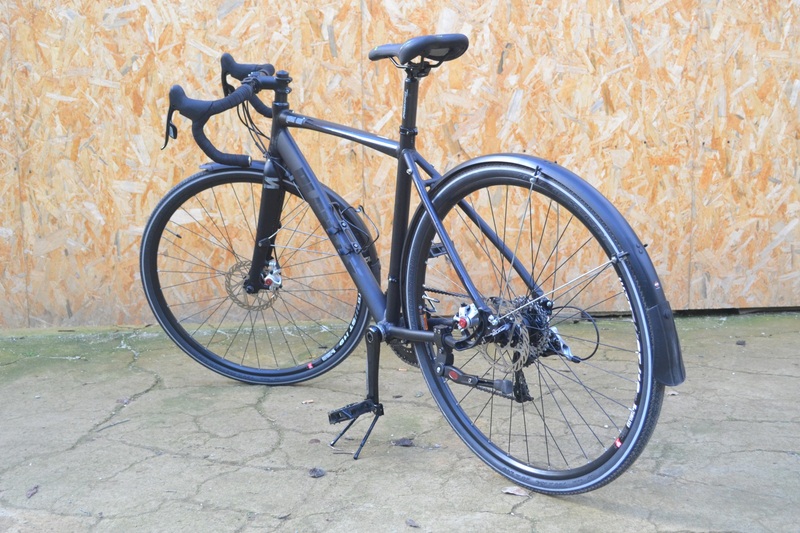 There may be some accessories: mudguards, carriers, lights and a kickstand. In short, we don’t have so many things and it’s difficult to invent something new. In fact we see constant attempts from the companies, which try to propose new things even though they are not novelties; or we meet some artisans who follow alternative paths trying to give a new shape to what is difficult to change. A kickstand is a kickstand , you cannot work miracles. 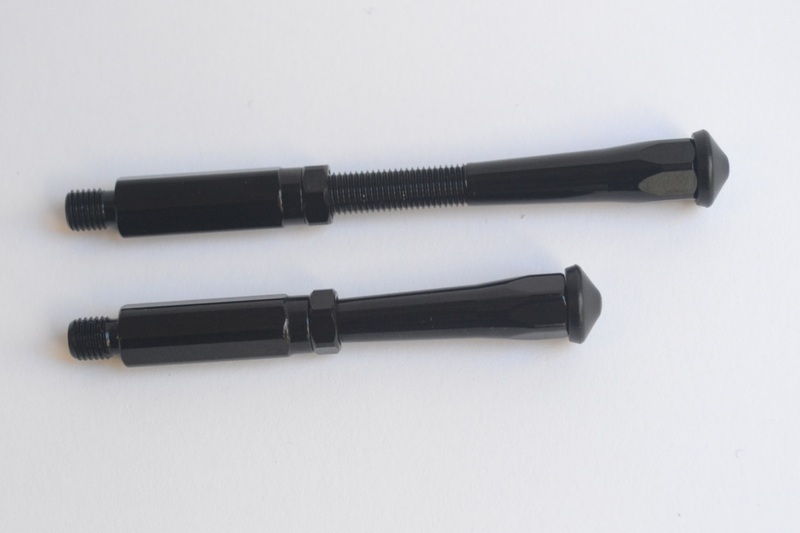 For a frame, a chainstay, single or double or for disc frames, it will always be, at the end, a metal pipe – more or less shaped – that you must screw in some point of the frame. And if the bike is not pre-arranged, you can (almost) always find a way to do it. It is an accessory that I don’t like so much and that I use only with city or pleasure bikes, because it’s useful, but it has never been a priority with the bikes I design. The fact I am not a kickstand’s fan means a little, because I have a weakness for those who follow different paths, even inventing a kickstand. This is exactly what the Taiwanese Company Gearoop does, whose owner is a genius of Cnc working and has a lot of imagination. Imagination he knows how to turn into reality, and I suggest you have a look at his catalog, or download here, because he has many fun things. We will see some of them in this blog, because he sent to me a lot of different objects that I can test, but I prefer to propose them in different articles to avoid confusion. 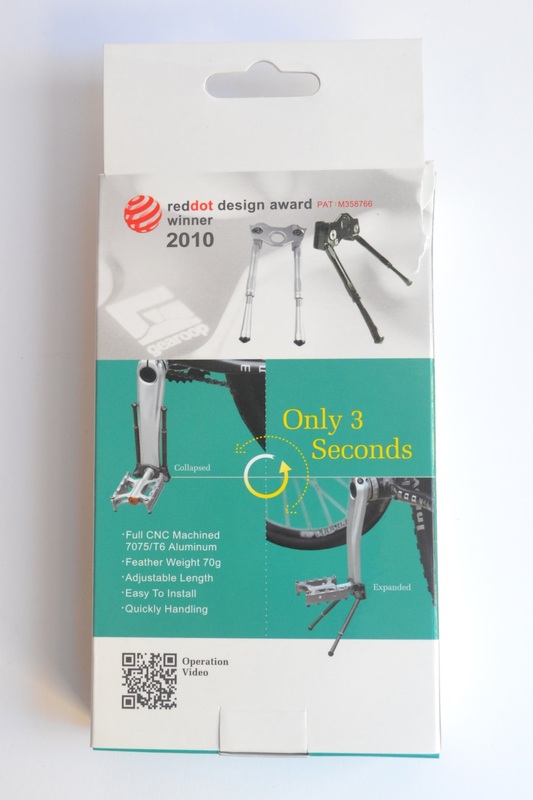 Today we precisely start with the Cool Stand kickstand, winner of Red Dot design Award in 2010; a kickstand not to mount on the frame but on the crank, and held in position by the pedal. 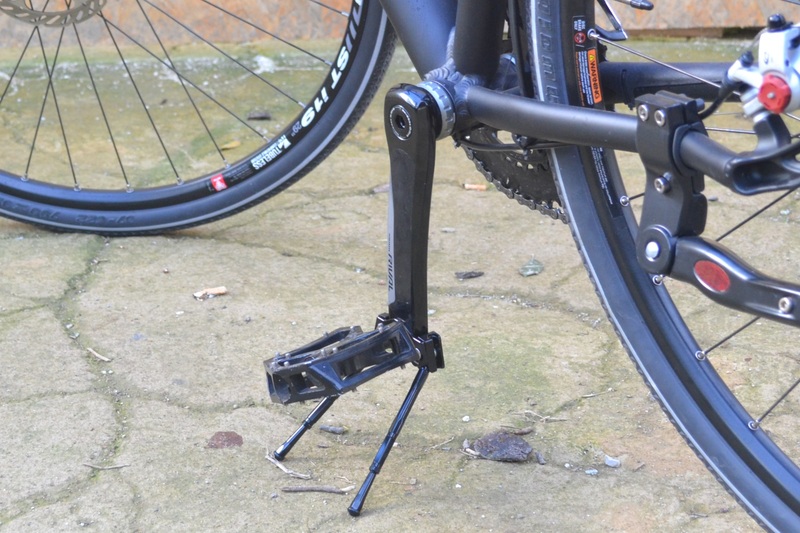 Now somebody may say that a normal kickstand is fine, even though it is objectively impossible to mount it or is even dangerous, but, in your opinion, how I could not appreciate somebody who invents such a thing? 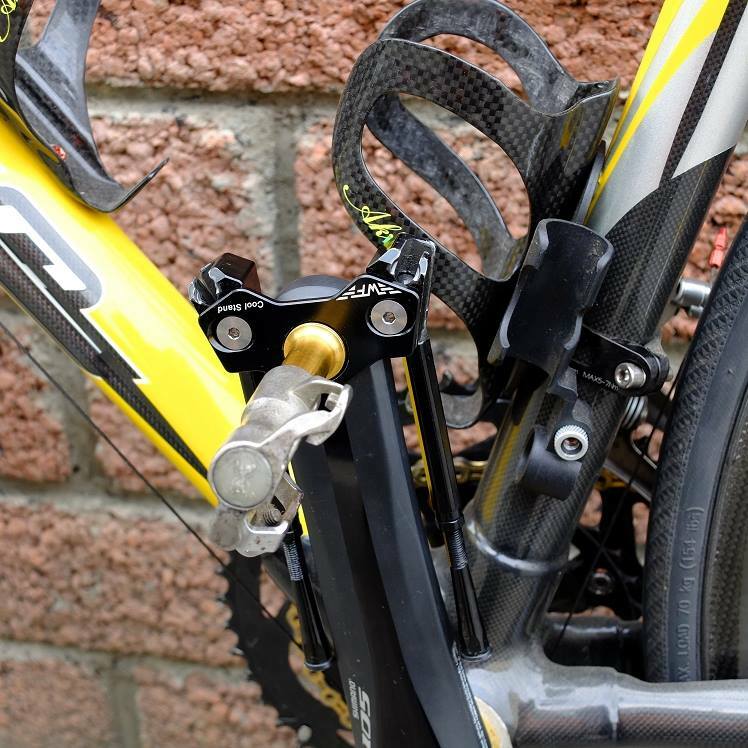 I wonder how he had the idea to attach a kickstand to a crank…. The fantasy indeed is not enough, we must also put it into practice and do it well. 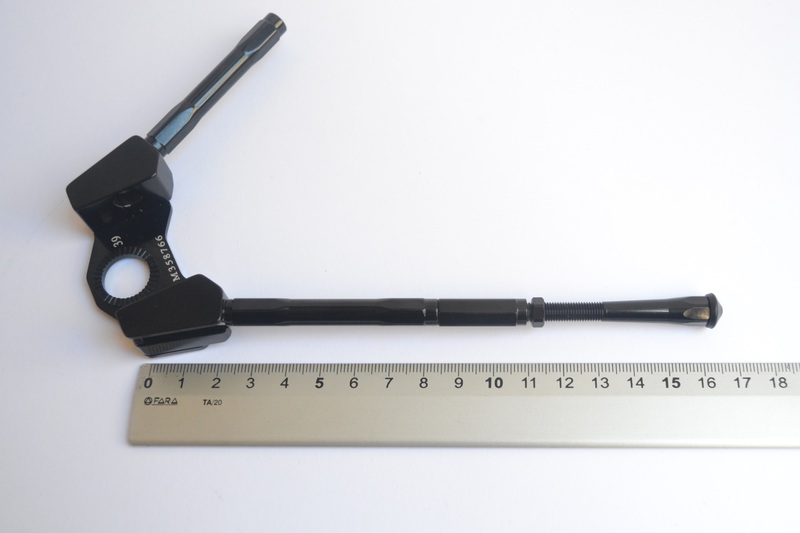 Then, let’ s see how Gearoop did with this kickstand, available in two versions, for bikes up to 25 kgs. and bikes up to 45 kgs., and in two colors, black and silver. 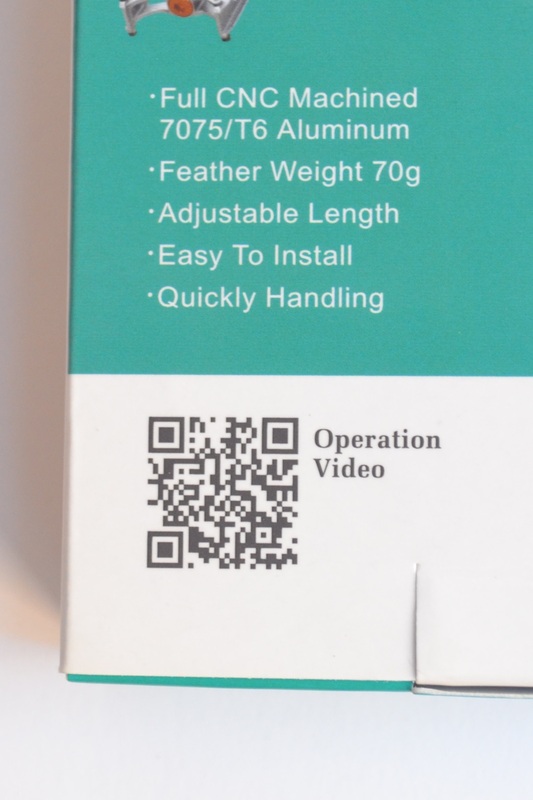 A simple box shows the kickstand once installed and an useful QR Code for the official video, that explains how it works. After opening the packaging, we see the kickstand, dismantled in its three parts, and a little bottle of glue, whose use we will see later. 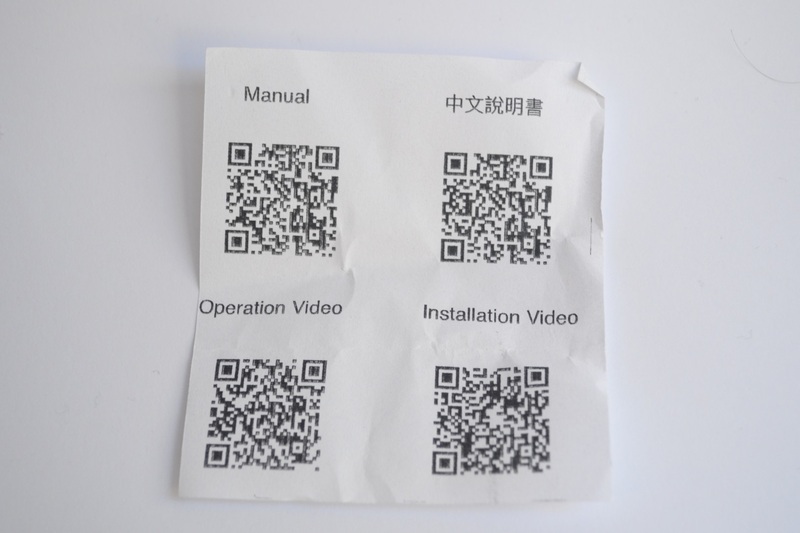 Instead of the instruction manual, they chose once again the QR Codes, which let you see the installation procedure. The main body indicates the maximum width of accepted cranks, i.e. from 33 to 39 mm; in practice almost all of them. On the opposite side, the two Allen screws which regulate the distance of the little brackets seats, for a sharp adjustment. And so it is with the main little brackets open. Which by themselves are obviously too short and, for this reason, we have a couple of little bases (feet?) we must screw. 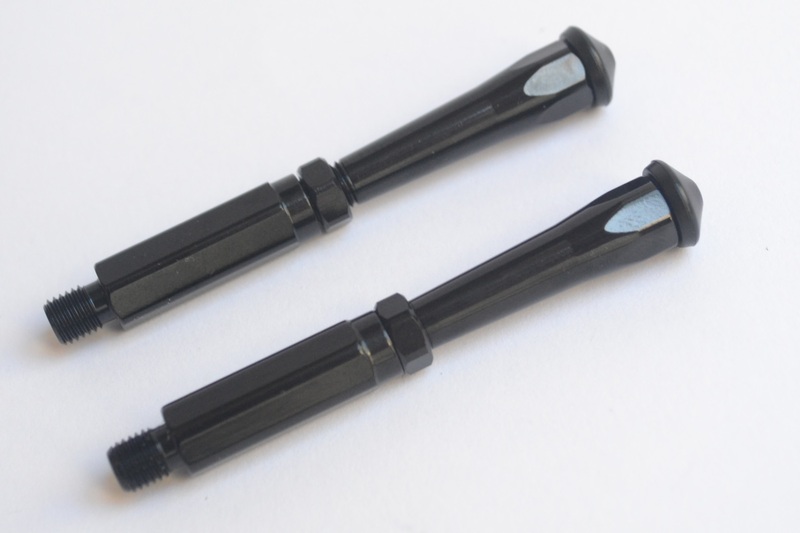 These two extensions with rubber ends are adjustable in length, in order to ensure stability over a wide range of cranks lengths and of the main traction heights. 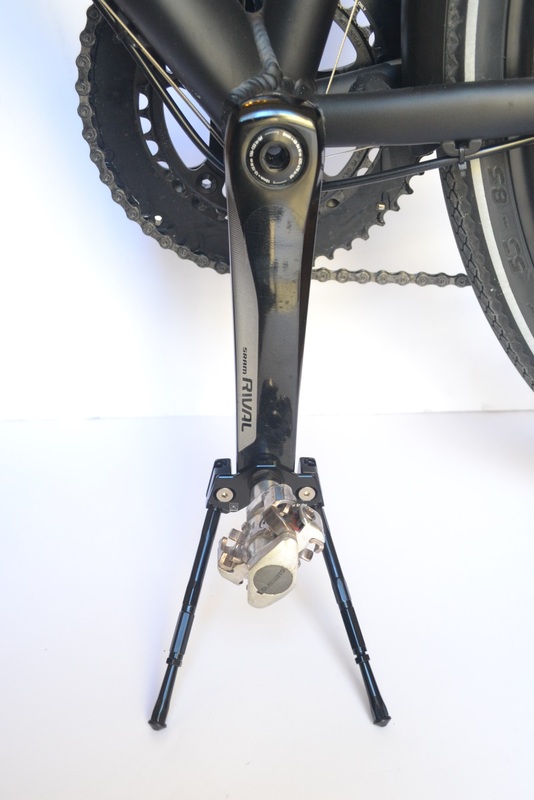 These measures influence the assembly, because the kickstand uses a crank as its seat. 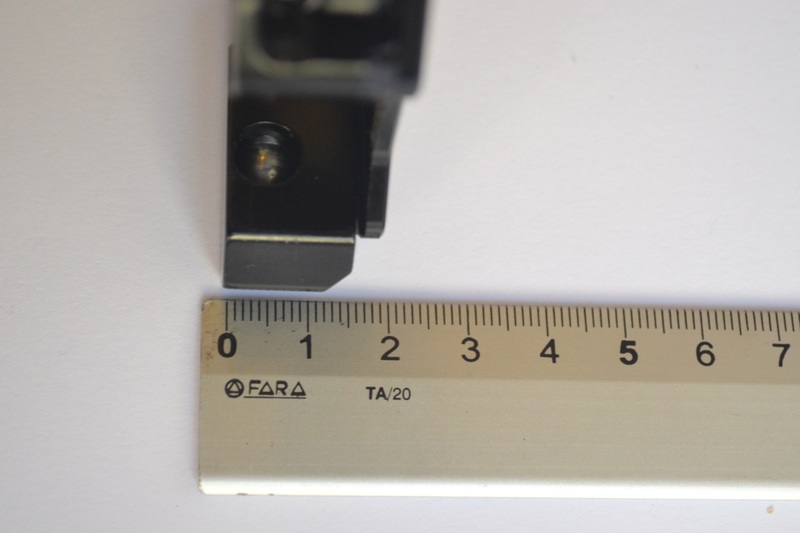 The difference between fully open and fully closed is around 2,5 cm. ; here below a further comparison. 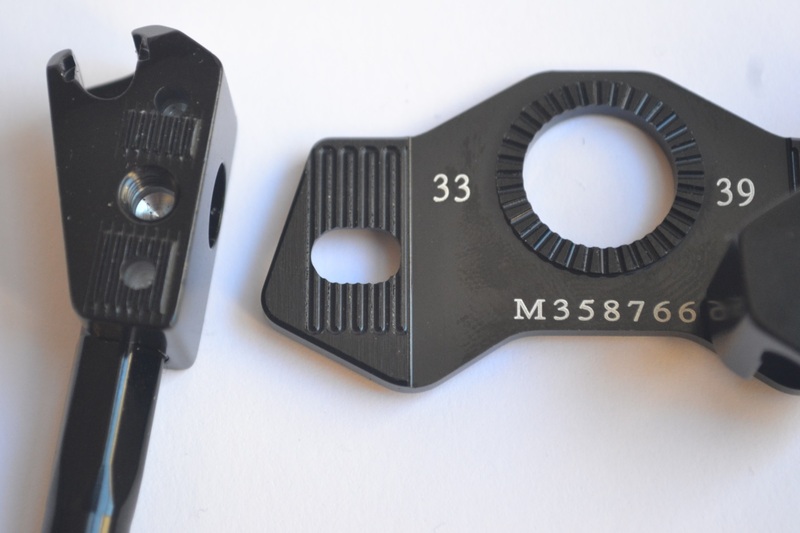 Besides the lenght of the two additional little brackets, we can also work on the corner of the main little brackets seats, using the two small Allen screws of 3mm. In the picture here below I dismantled this seat: so you can see the knurlings which help the positioning and provide a better tightness. All with a reduced thickness. The installation is very simple; a little more complex than with a normal kickstand, but this is not a normal kickstand. Succinctly: you just need to remove the left pedal, place the base of the kickstand with its little brackets running parallel to the crank, screw the pedal without tightening too much, use the two small Allen screws, that are now exactly in front of us, to adjust the distance of the little brackets seats, screw the two extensions, open the kickstand – setting it to work -, adjust the length of the two additional little brackets thanks to the useful threading, secure the distance with the nut, remove the little brackets, stick a thin layer of glue, screw and tighten. Done! Did you understand a little? Here is the official video showing the very simple installation; I did not shoot one: it would have been useless, I could not add anything. In reality you need a time shorter than shown in the video, but when you show the working sequences, you use more of it. The provided glue is not definitive, is instead a very tenacious thread. 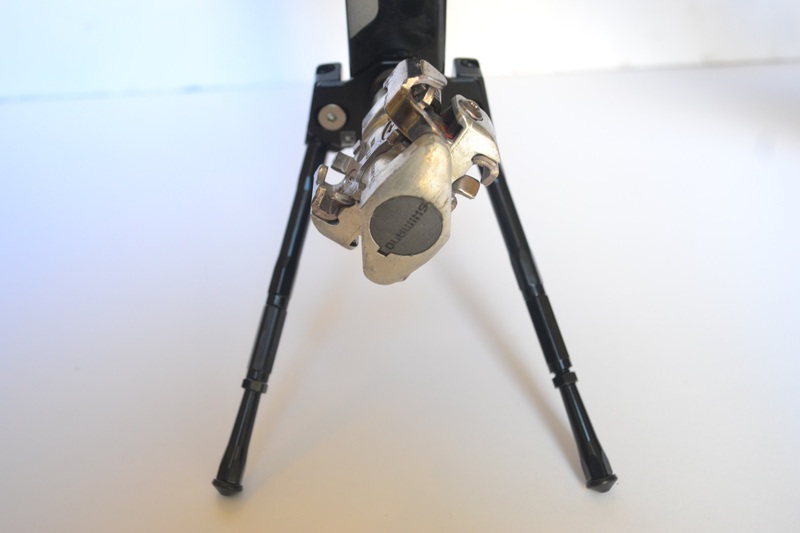 Let’s not forget that this kickstand is installed on an element subjected to a continuous rotation and an aid to the tightness is recommended. And here the kickstand in its rest position (that I left loose in the unlikely event it could scratch the test bike) and its working position. 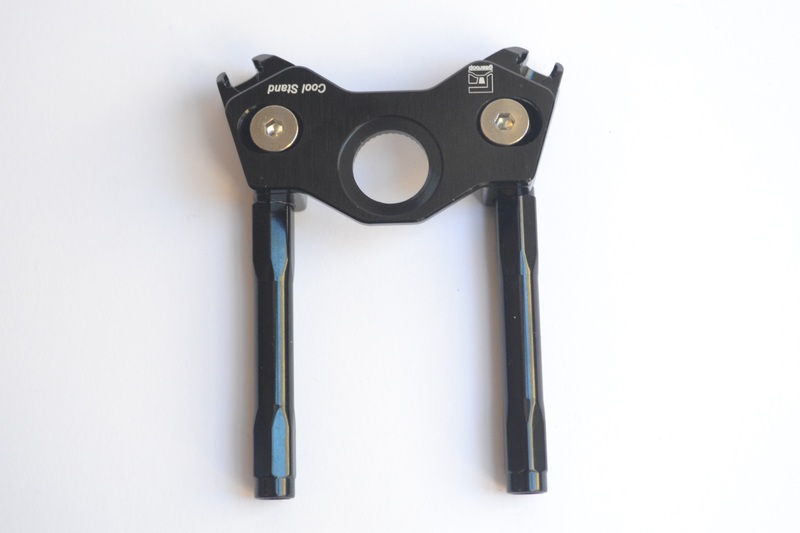 Once opened, the kickstand is stable thanks to the good distance between the two little brackets; the pressure exerted by the crank steadily holds it in position. But all this does not answer to the fundamental question: why using this kickstand and not a normal one? For various reasons. 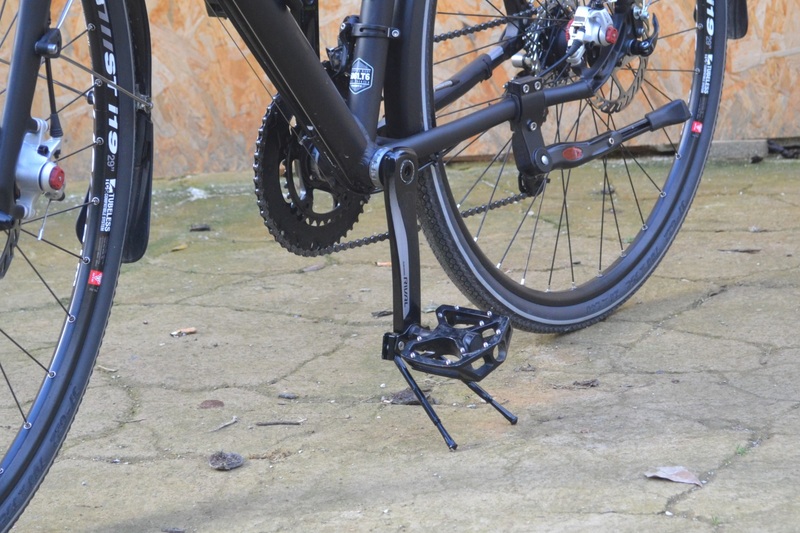 The first one is that not all the bikes accept the installation of a traditional kickstand. 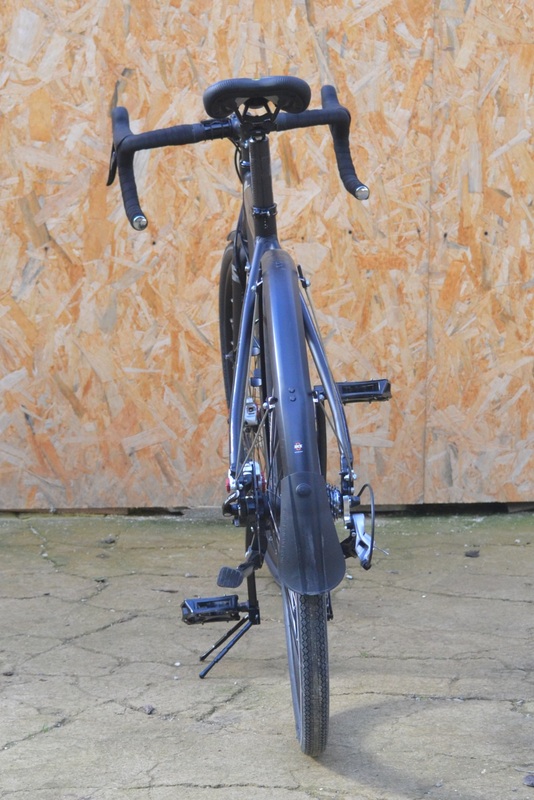 As a matter of fact, for those bikes without the connection, it is possible to use a kickstand mounted on the frame, like that one I left installed on the London Road, as you can see here below. But this is not possible all the times. 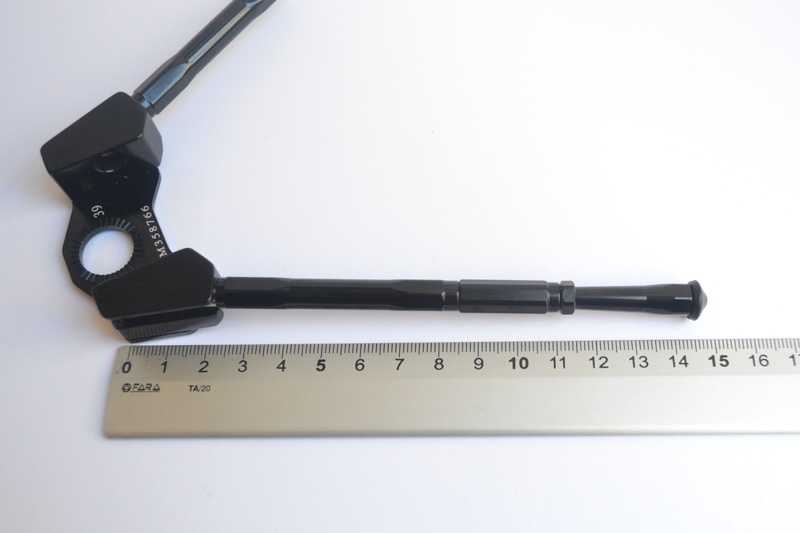 The bikes with carbon fiber frames or Mtb Full suspended, which often have square section tubes, don’t accept this kind of kickstand. I do not recommend it on the carbon bikes because the mounting system crushes the tubes; on those bike with square tubes, a good mounting surface is lacking. 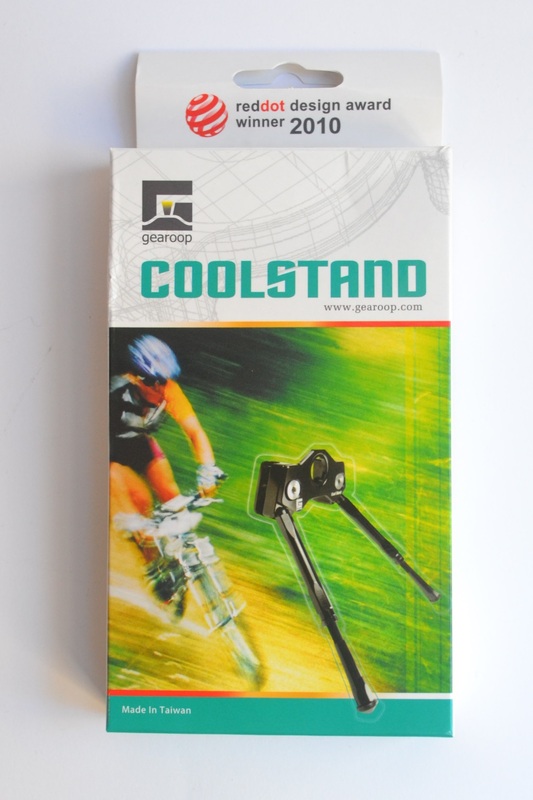 This kickstand proposed by Gearoop solves the problem in both cases. 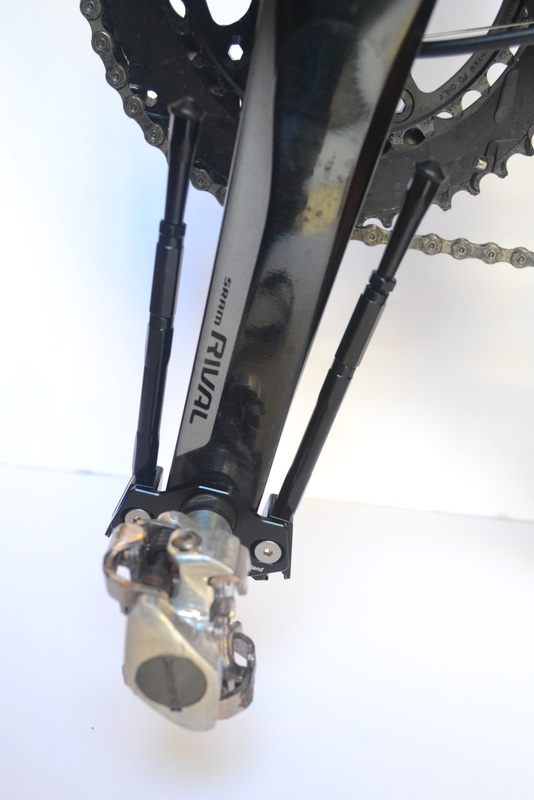 Moreover it is very light, just 75 grams and, when you pedal, does not annoy at all. On the contrary, rear kickstands give some problems, sometimes, when the performance of the chart down tube is particularly curvy and impede the off-road riding. The opening is not immediate as for a traditional kickstand, it is true; but let’s not forget that its best use is exactly on those bike that don’t easily accept a traditional one. 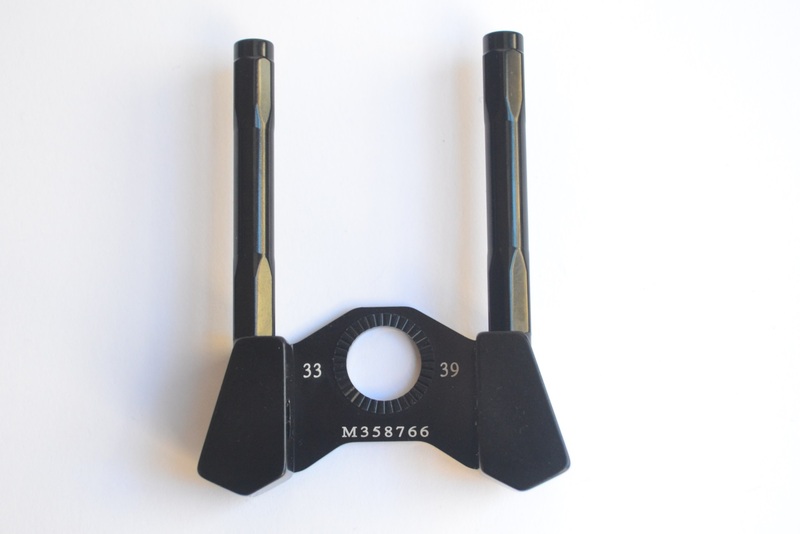 The installation is simple, the adjustment as well, and the strength is very good. You just have to find the right length, working on different control parameters. In the picture here below, you can see that my adjustment left the bike in a rather vertical position, but I had to take advantage of a rare moment without the recent incessant rain, just to be able to take some pictures and I was not too fussy. 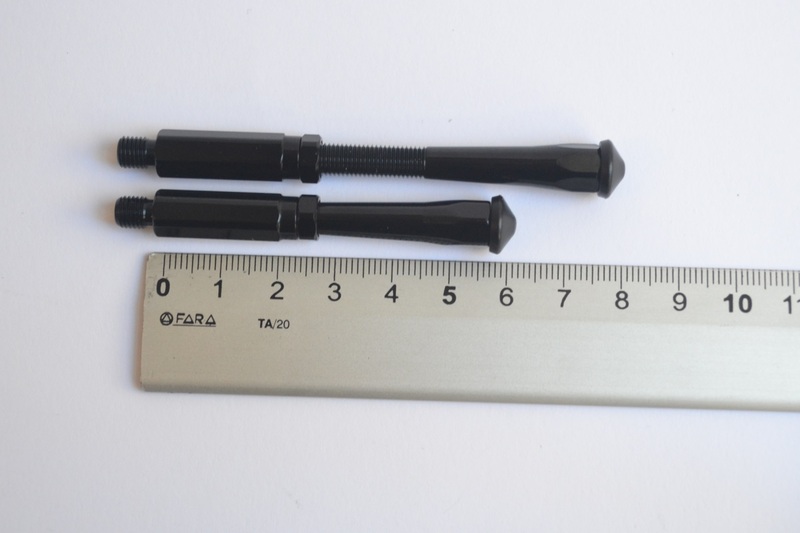 It is small and discreet, and because you can have it in black or silver color, you can easily combine it with every crank. 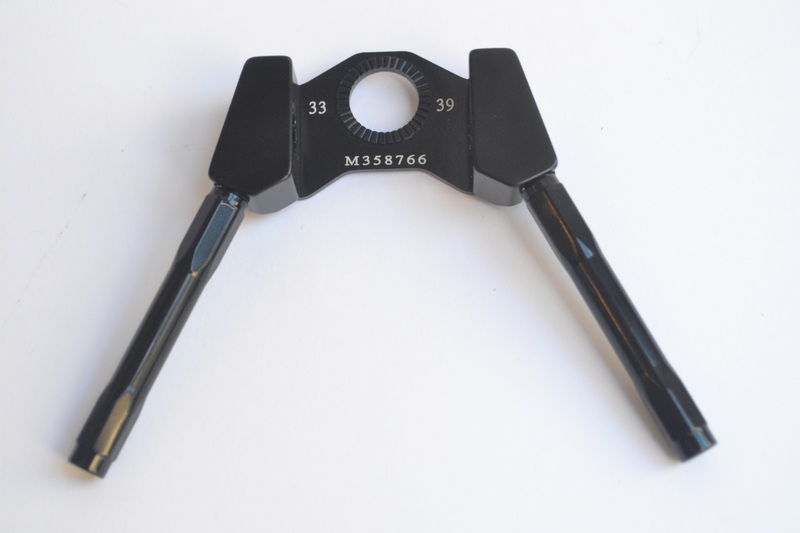 It is not a kickstand which I would recommend on a touring bike, weighed by the heavy load of luggage; which is a bike that usually has a bearing for a traditional kickstand. 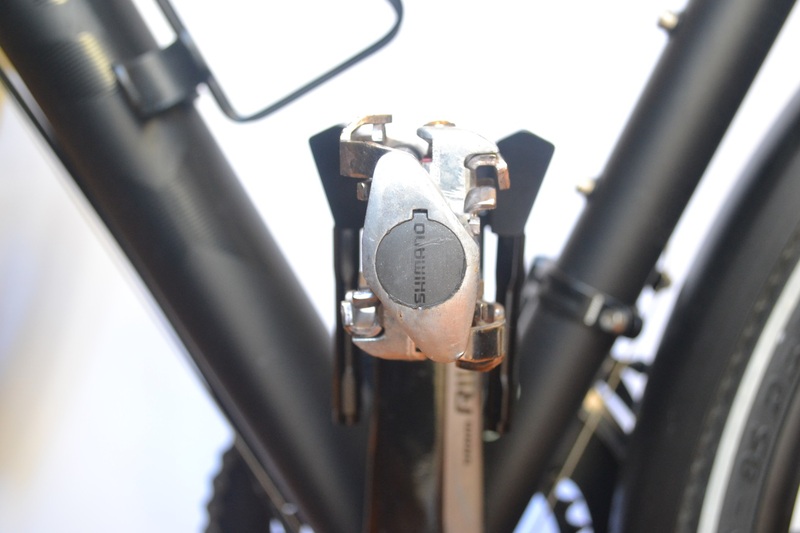 Its best placing is on a Mtb, both full and suspended and Gravel/cyclocross bikes; where the greater height of the middle drive makes everything more stable. 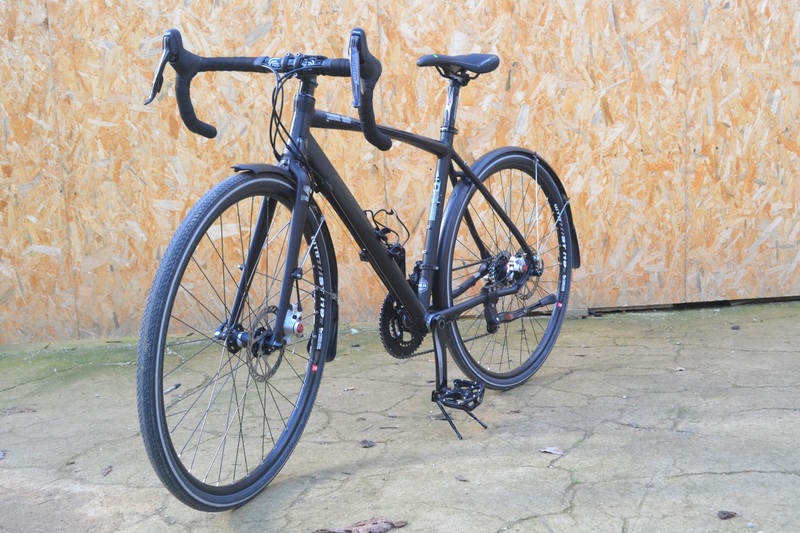 We cannot turn it down on a racing bike, because we are accustomed to conceive it only as piece of apparatus, but, in many parts of the world, it is not difficult to see cyclist who only have that one, and use it for training and also to go to work or for an excursion. If I had only one bike, and it would be my Rose X-lite, and I should do with it all the things that I normally do with the other bikes that fill my house, I probably would use exactly this kickstand; and the parcel carrier 2.0, proposed by Gearoop as well, which we will see in a future article. In 2017 version, i.e. 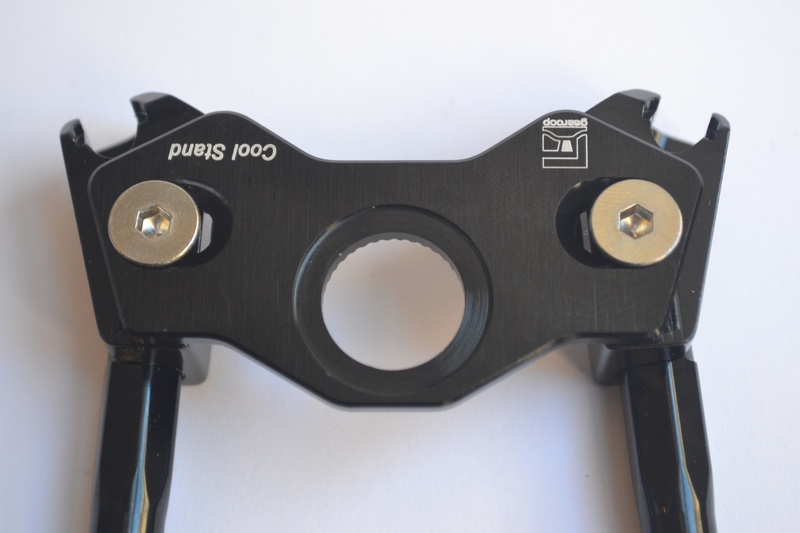 with the mount to the seat and not to the seatpost, as for that one shown at the previous link. Even though I never loved the kickstand on a bike, I do acknowledge its functionality in many occasions, and – in fact – I use it on other bikes. 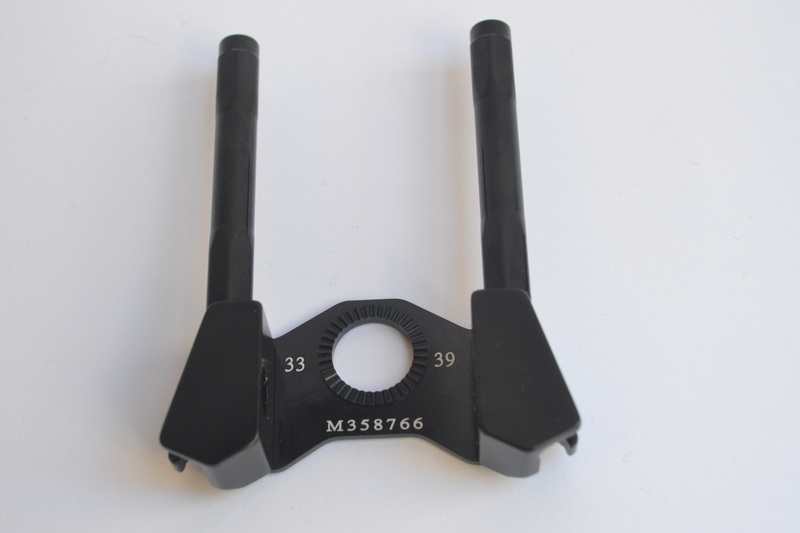 I appreciate this Gearoop for its remarkable workmanship (you perceive its quality as soon as you have it in your hands), the originality of the idea, and its undoubted functionality if used in the right way. Once installed and properly adjusted, I had no stability problems, on purpose leaving it as I adjusted it at its first installation, that is with the bike quite vertical. I stopped the bike on asphalt and on battered or sloping roads, and it never “took in”. 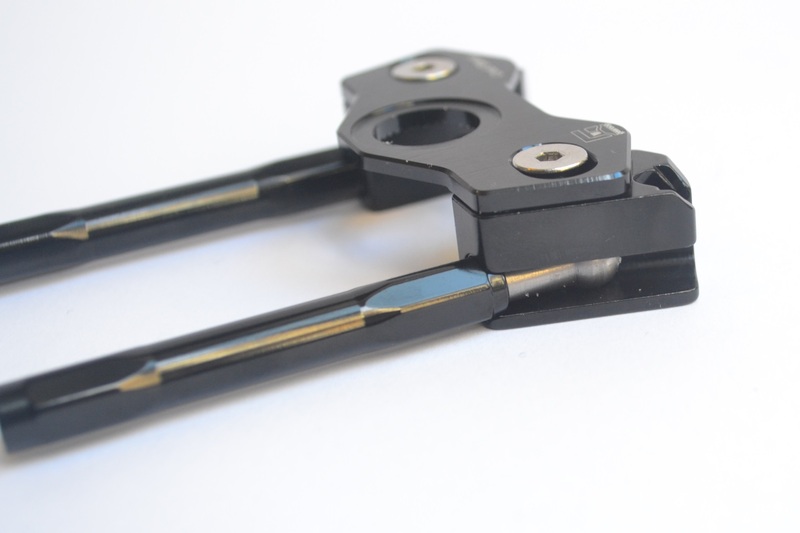 The main little brackets, those connected to the kickstand body, have their necessary clearance, otherwise it would not be possible to open them; but they do not create noise and do not bump into the crank. 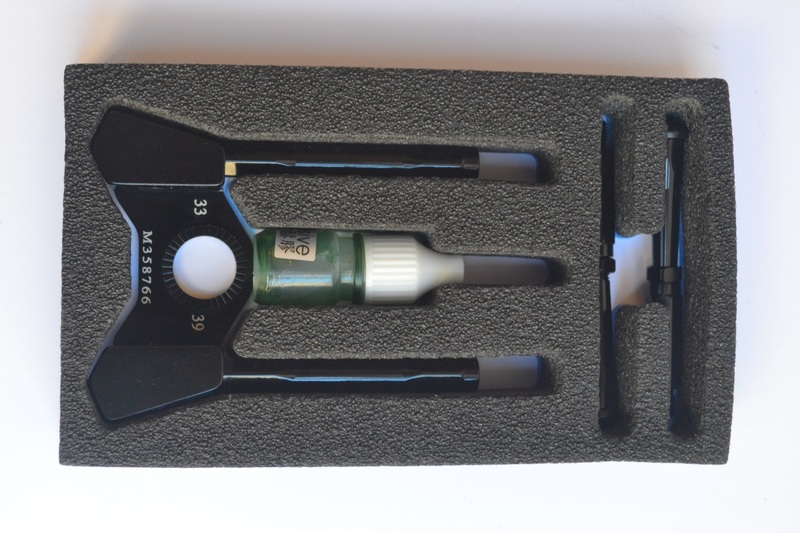 To test the tightness over time, I avoided to use the supplied glue, and even after many hours pedaling, both on the road and off-road, I have detected no loosening. This indicates the workmanship’s quality, I mean a well done threading. 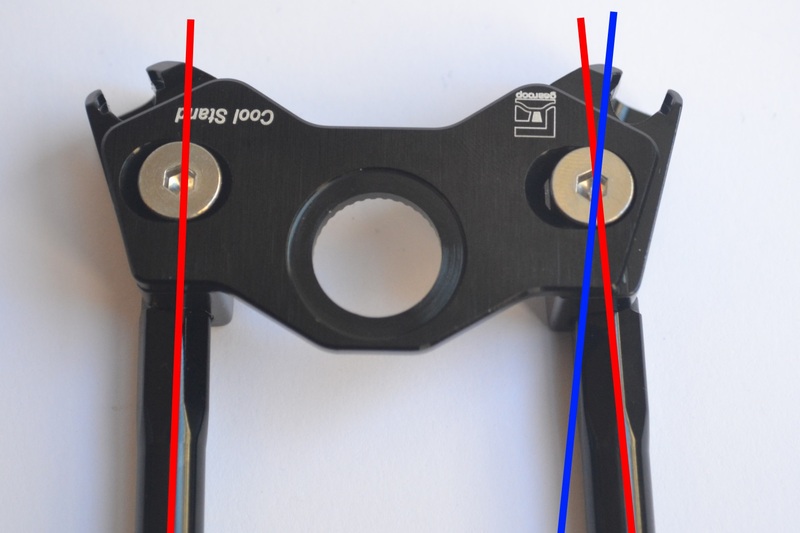 But I still recommend to use the glue or a tenacious thread holder, because in the long run it could be subjected to some loosening (as for all the threads, you must check them all periodically), and it would be difficult, while cycling, to realize you lost a little bracket. In short, this strange kickstand made me like even an accessory that I never did like.